Розробка уроку англійської мови для 9 класу з теми "Who Are You?" Розробка уроку англійської мови для 9 класу з теми "Who Are You?" (підтема "Youth Subcultures") за підручником Оксани Карпюк, 2017) з використанням інтерактивних технологій. Практична: Практикувати учнів у писемному та усному мовленні. Активізувати вживання лексичних одиниць теми та граматичного матеріалу «Герундій». Розвивати навички аудіювання. 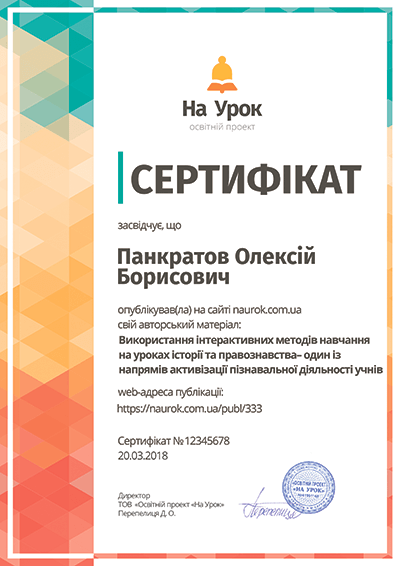 Практикувати учнів у переглядовому читанні. Тренувати учнів у вживанні герундія в усному та писемному мовленні. Вчити учнів співпрацювати у групах; вести дискусію; складати діалог – розпитування. Розвиваюча: Розвивати слухову пам'ять учнів, слуховий контроль, коротко - та довготривалу пам'ять, здатність самостійно планувати мовний вчинок; логічно, послідовно висловлювати думки англійською мовою. Виховна: Виховувати культуру спілкування, повагу до оточуючих, здатність до співпраці, інтерес до вивчення іноземної мови. T.: Good morning, friends! I hope you are doing well. You know, I am so absent-minded. I need your help. Look at the blackboard and try to guess the topic of our lesson. Today we are going to learn more about youth, we’ll refresh our active vocabulary and the grammar material concerning Gerund and its usage, have a discussion. At the end of the lesson you are to make up dialogues about different youth subcultures. T.: Have a look at the blackboard. What do you think of this proverb? Do you agree with it? Why (not)? Sure, we all are different. Some of us are optimistic and cheerful, honest and sincere, others are shy or jealous. And some of us are good actors. Let’s play our favourite game called “Show and guess”. Chatterbox; bully; workaholic; gossip, computer geek. T.: You see, if you try hard – you succeed. T.: What subultures do you know? Tell about one of them! T.: I am eager to listen to your projects. Be ready to comment upon the works of your groupmates and give the marks! T.: We notice that many of you used Gerund in your stories. So you see it is really important to know the peculiarities of Gerund. Besides, it’s quite convenient! Let’s practice a bit! Here are some cards. … and …. will work individually. Read the assignment and say if it’s clear to you. … will work at the blackboard. Complete the sentences using the proper grammar form of the verb! 1. I don’t mind (to meet) tonight. It’s a good idea. 2. My mom can’t stand (to eat) spicy food. She hates spices. 3. We are looking forward (hear) from you! Come back as soon as possible! 4. We decided (to contact) him. We need his advice. 5. This leather jacket is worth (to buy). It’s of a good quality, I should say. T.: The rest of the pupils should be attentive and smart while doing the exercise! 1. I can’t stand (get up) so early. 2. He (be) not so good at (play football), I should say. 3. They do not mind (invite) her. 4. I can’t help (laugh) when I watch this film. 5. He decided (enter) this college. 1. She is fond of (dance). 2. They are crazy about (swim). 3. He doesn’t mind (do) it today. 4. I’d like (become) a surgeon. 5. She can’t help (smile) when she sees him. T. : Do modern teens often socialize online? You know some young people spend hours in social networks not even knowing the real name or face of their online pals. Listen to the song and complete the words of the song. _______________I can’t see your face. Out in time and __________. Show me your face. Am I asking _____? I am ________to_________for night and day. I am going to __________you. To make all my dreams _______ ______. T.: Let’s check! By the way, have you heard about Weblish? To learn more about it look through the text of ex. 8, p.50 and say the definition of Weblish. Do you use it? Why (not)? T.: Let’s have a look at ex. 9, p.50. Who can transform this message in Weblish into usual spoken English? How is your trip? My friends and me are very busy here. They all send their love to you. What are your plans for the rest of the holidays? Write, please! See you soon! T.: Do you spend much time in the I-net? Still, you should always remember about safety online. Here are some cards. Make up 3 groups according to them! Work in groups and think over why it can be dangerous to be online. You may use the information provided in ex.12, p.53! T.: When you are ready, raise up your hand, please! Work in pairs and make up dialogues asking each other about different subcultures according to the cards you get! T.: At home you are to get ready for the test. 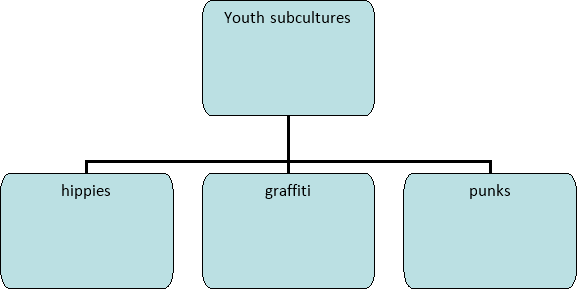 Refresh everything in your memory and write an essay about any youth subculture you like. Is the task clear to you? T.: What have we done at the lesson? What did(n’t) you like? Why (not)? …., please, assess and comment upon the work of your groupmates. Tick to choose the appropriate variant. Try to be sincere! T.: The lesson is over! See you! Матеріали до уроку англійської мови в 11 класі: презентація на тему "Jane Eyre". Презентация :"Romeo and Juliet ."